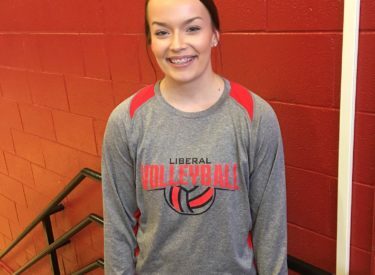 Liberal senior setter Kaeleah Chaloupek is the Hay Rice and Associates Athlete of the Week. Chaloupek leads the Liberal volleyball team with 52 aces and 335 assists. Chaloupek also had 94 digs. Kaeleah also plays softball at Liberal High. Chaloupek and the Redskins are 12-11 and play at Colby on Monday at 3 for a quad.